Hi there. It’s time for another fun challenge over at the Really Reasonable Ribbon’s Ramblings Blog. This time we have a Pink & Brown Theme. I was feeling a bit uninspired today, but somehow I sat down and this came together rather quickly which is really unheard of for me. Honestly, I’m not sure where this came from! 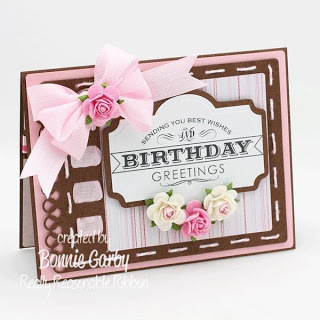 I used the beautiful Delicate Stitched Satin in Pearl Pink Ribbon which is included in the terrific Pink, Ivory and Brown August Ribbon Club Assortment. I just love this ribbon for fluffly, loopy bows because it’s very lightweight and easy to manipulate. I wrapped a Pink 20mm Open Rose around the center of my bow and added three more roses beneath the sentiment. 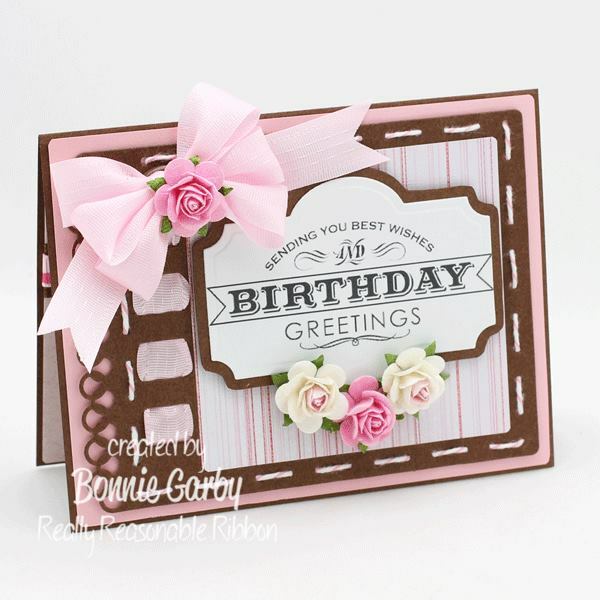 The birthday greetings sentiment was a digi freebie from the Handmade by Paula Blog. 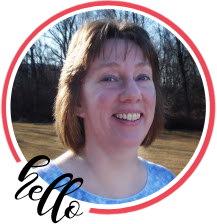 Head over and take a look – she’s got lots of fun stuff on her blog! I’ve always admired the girls who make the inside of their cards look almost as good as the front and I’m trying. Clearly I need a little more practice, but I am trying….. I used 5/8″ Turftan Brown Diamond Satin for the base ribbon layer and then added Random Dots Pearl Pink w/Hot Pink & White Dots Grosgrain to top if off. Both of these ribbons can also be found in the RRR August Ribbon Club Assortment. The sentiment on the interior of the card is from Bird’s Cards Blog and is also a great source for amazing free digi stamps.